The Xbox One Stereo Headset Adaptor lets you plug a compatible chat or stereo headset into the Xbox One Controller so you can control your audio experience on a Windows 10 device without taking your hands off the controller. Not all headsets are compatible with the Xbox One Stereo Headset Adaptor. For details, see our Xbox One Accessories Forum for more information. You must update your controller through your Xbox One console to make sure your controller is ready to work with the Stereo Headset Adaptor. 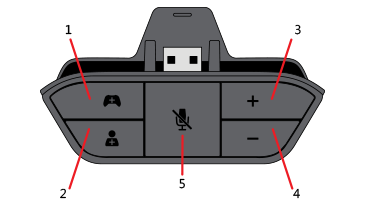 Insert the Stereo Headset Adaptor into the bottom of your Xbox One controller. Mute: This button mutes your chat audio so other users can't hear you. It doesn't mute game/music/app audio. This button has an orange LED to indicate that you are muted. This LED lights up only if a headset is plugged into the adaptor. If you have a question about or a problem using the Stereo Headset Adaptor, see the following topics. You must update your controller through your Xbox One console to support the Stereo Headset Adaptor. Make sure your controller has fresh batteries. When the batteries become weak, some controller functions, such as audio and vibration, are turned off to conserve the remaining power. Try your Stereo Headset Adaptor on another controller if you can. If the adaptor works on the second controller, try updating your controller through your Xbox One console again. If that fails, the controller will need to be replaced. To order a replacement, go to the Xbox Online Service Centre. 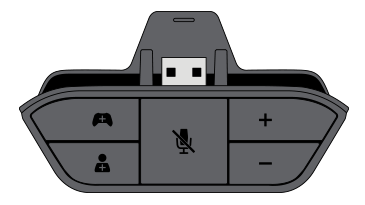 If your Xbox One Controller doesn't work or gets disconnected after you plug in your Stereo Headset Adaptor, unplug your adaptor and then update your controller through your Xbox One console without the adaptor. 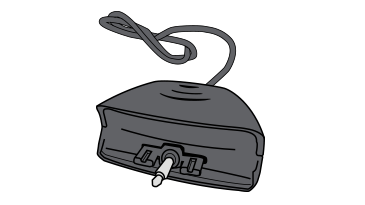 After the controller is updated, insert your Stereo Headset Adaptor back into the controller. If you're prompted to install another update for the adaptor, install that update as well. If your controller still disconnects after you update it, you need to replace the controller. To order a replacement, go to the Xbox Online Service Centre. If you have both game and chat audio plugged into the adaptor, use the Game balance or Chat balance button to increase or decrease the audio levels as desired. If your Xbox One Stereo Headset Adaptor is broken, you can order a replacement from the Xbox Online Service Centre. Would you like to contact Support regarding the "Using the Xbox One Stereo Headset Adaptor with Windows 10" issue you were reading about or a different issue?